EaseFab Video Converter Ultimate for Mac is a complete and straightforward video decoding and encoding application on Mac OS X. With a wide array of built-in conversion profiles, it manages to get any SD/HD/4K and 3D videos ready for devices such as iPhone, iPad, Samsung Galaxy, Game Console, Media Server. The Blu-ray and DVD ripping feature is also a plus. With it, you can circumvent Blu-ray and DVD encryption scheme to backup BD/DVD to hard drive and convert the disc to digital files. Batch conversion and "Drag-and-Drop" feature makes it more popular among the users. Overall, its fast conversion time, high-quality output and extra features make it the perfect choice for video converter software on Mac. EaseFab Video Converter Ultimate helps convert video, audio and even DVD/Blu-ray file to a wide range of output formats, like WebM to MP4, TS to MP4, MP4 to MPEG, AVI to MOV. New formats like H.265/HEVC are constantly added making it the most user-friendly video converter on the market. Support some VR devices and 4K video formats like MP4, AVI, MOV, MKV. Want to enjoy videos on different devices like playing MP4, MKV, etc. files on TV? Video Converter Ultimate helps you convert videos for all kinds of devices, including Apple devices (iPhone, iPad, Apple TV), Android devices, VR, game consoles, etc. Besides that, you can convert your media files to online video sites supported formats for sharing on YouTube, Vimeo, Facebook and more. As an ultimate leading video file converter, EaseFab Video Converter Ultimate guarantees the lossless conversion. It keeps the original video or audio quality by default, unless you change the output settings or compress videos. With the new optimized acceleration technology, the super speed video conversion offers you an extraordinary 30X faster conversion experience. EaseFab Video Converter Ultimate for Mac is not only a video converter, it also makes video editing easy with its built-in video editor. With it, you can trim, crop, rotate video, and then convert the video to other formats if needed. What's more, you can also add subtitles, watermarks, metadata info and special effects to the video simply. This all-in-one application also offers enough freedom for all movie lovers like you to back up your favorite Blu-ray and DVD movies in a personalized way. Two different copy modes: Title Mode (Copy main movie without extras or select one title to copy) and Full Disc Mode (Backup the whole content of your disc) are provided to let you copy the exact movie part you want. 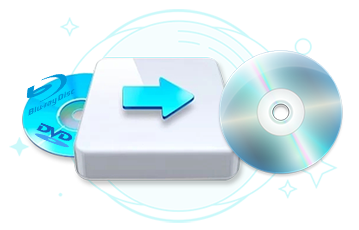 Either of the backup method can help you backup your Blu-ray or DVD movies within one minute! This feature can help you keep your Blu-ray/DVD disc from scratching, or manage your movies in a more convenient way. EaseFab Video Converter Ultimate for Mac can also convert 3D to 3D, 2D to 3D, 3D to 2D video files. It creates 3D MKV, 3D MP4, 3D MOV, 3D WMV and 3D AVI video in a very advanced 3D mode with the largest possibility of 3D option settings including 3D Anaglyph,Top-Bottom or side-by-side. With it, you can watch any 2D/3D video on Samsung Gear VR, HTC Vive, Oculus Rift, PS VR, VR Box and more VR Headsets and 3D TVs. Convert with file size compressed by chaning some small settings.